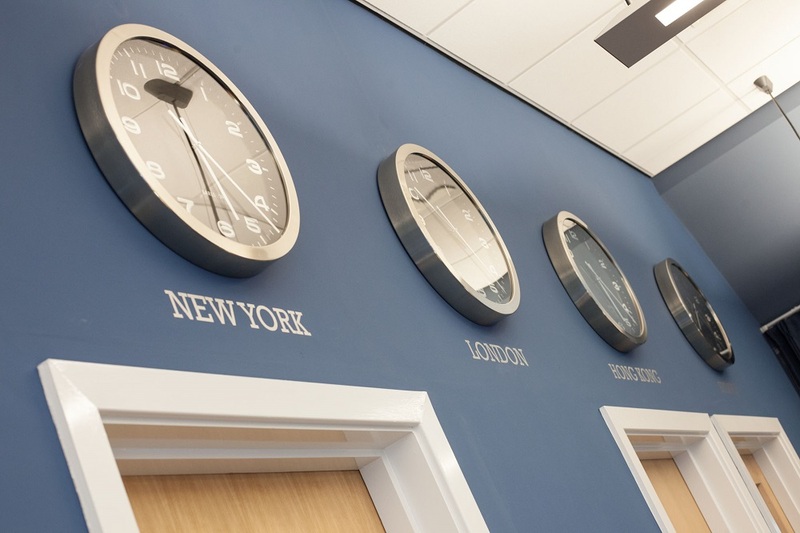 The first facility of its type in Britain; an area that's been specifically set aside for customers to meet face to face with a Cruise Expert in person to discuss the details of their cruise. Whilst the majority of our business will still be carried out over the telephone, the Cruise Bureau offers an alternative point of contact for the thousands of members who live within travelling distance of Barlborough, and indeed, for many who don't, as we regularly welcome visitors from much further afield. Physically calling in to see us is simply another option for our customers, and one that we felt ought to be provided, judging by the increasing volume of personal callers we received at our previous premises. We felt strongly that the more avenues of communication we could open up between our members and ourselves, the better. 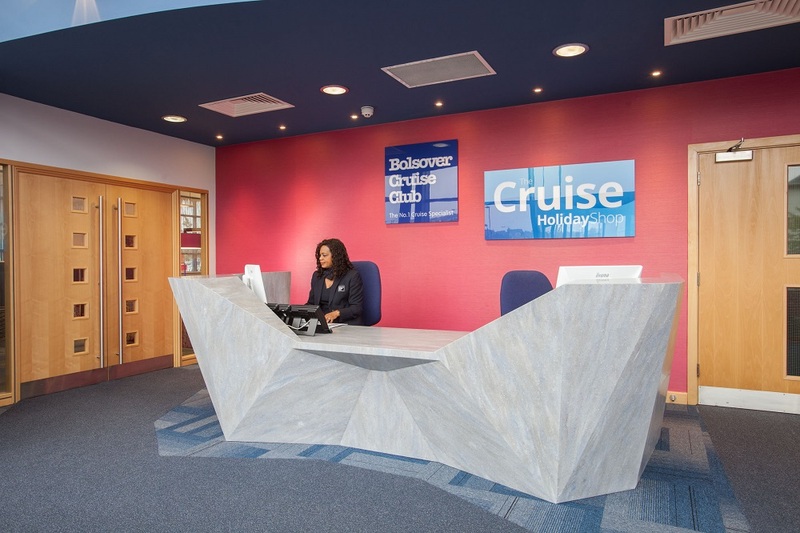 We're absolutely delighted with our premises in both aesthetic and functional terms, the Cruise Bureau is one aspect of the building that we're particularly proud of, and pleased with. Unfortunately, the original Cruise Centre didn't contain adequate facilities to accommodate visitors to our satisfaction - so when the 'Barlborough Two' project commenced, we recognised a perfect opportunity to bring our idea to life. 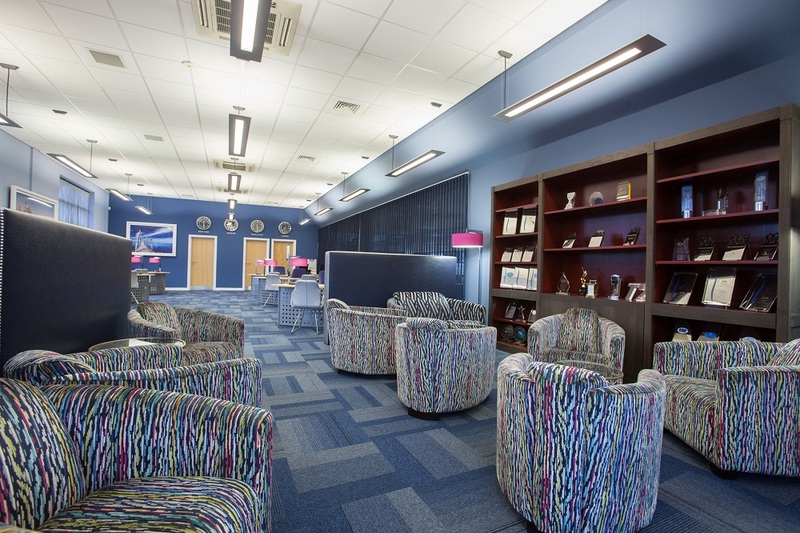 The result is our spacious and comfortable Cruise Bureau - purpose-built to cater for those customers who prefer to book in person, and open to the public six days a week. Slightly distanced from our call centre and offices in order to allow private conversation, but integral enough for visitors to see something of Bolsover Cruise Club at work, the Cruise Bureau is a unique and modern addition to the business. Once again we're leading the field in terms of innovation, and we're thrilled that the move is proving even more popular than expected - not only with those members who've already dropped in to give the Cruise Bureau a try, but also with the representatives of the cruise companies themselves. The Cruise Centre, Barlborough, Chesterfield, Derbyshire, S43 4XE. Open for visitors Monday to Saturday 10.00 am to 4.00 pm. Closed on Bank Holidays.